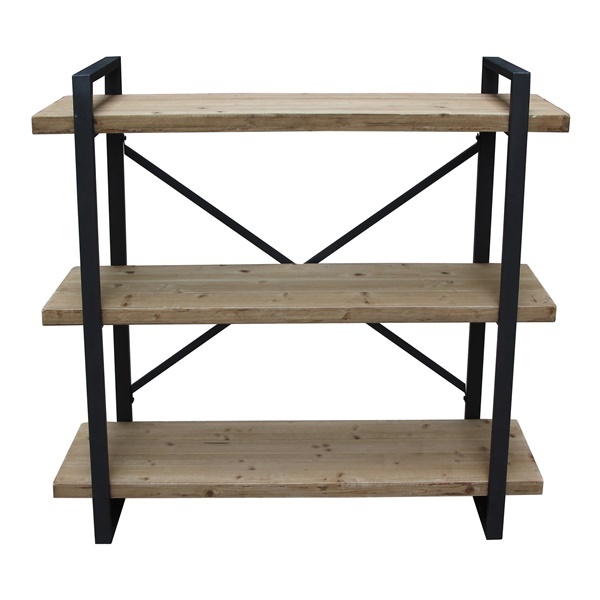 If you’re in need of some extra storage space for your home or office, the Lex 3 Level Shelf is a great option. This piece is offered by Moe’s Home Collection and it combines a beautiful rustic style with the popular industrial look. It’s made from solid fir and iron and it’s easily assembled with the hardware that’s included. You can use it alone or with the other pieces in the Lex collection. Rustic style with industrial edge. Stable construction of iron and solid fir. Flimsy (hollow) fake wood that looks pretty tacky, very lightweight and unstable frame. Nice design so it's unfortunate that the quality is so terrible.